Four e-cigarette brands have been reprimanded by the ad watchdog for running advertising that was too vague about the type of product they were promoting. The Advertising Standards Authority adjudications upheld a number of complaints against individual brands, which include Sky Cigs, 5 Colors, Ten Motives and E-Lites, as it seeks to clarify the rules around advertising e-cigarettes. The ads came under fire from the ASA for not making it clear what the commercials were promoting. In each of the instances, the brands and Clearcast had misinterpreted the BCAP Code as prohibiting reference to the terms e-cigarette. A TV ad for 5 Colors e-cigarettes stated, "Five Colors. What’s your flavour?" and showed adults jumping in the air, while fruits including strawberries and apples exploded in the background. On-screen text included a URL and telephone number. Five viewers complained the ad was misleading because it encouraged viewers to visit the website and did not make clear the characteristics of the product. Three viewers complained that the ad was irresponsible because it encouraged people to smoke, and two complainants argued that the ad did not make it clear the product was unsuitable for under 18-year-olds. The ASA upheld two of the complaints. It ruled that the ad should have made it clear that an e-cigarette was the product being advertised, that it did not contain nicotine and that it was not available to under-18s. E-cigarette brand Ten Motives ran a TV ad written from the perspective of a man telling viewers about the things that mattered to him most, including loved ones. Complaints included claims that the ad did not make it clear what the product being advertised was and that it contained nicotine. The ASA ruled that the ad should not appear in its current form again and should instead make clear the nature of the product and that it contained nicotine. 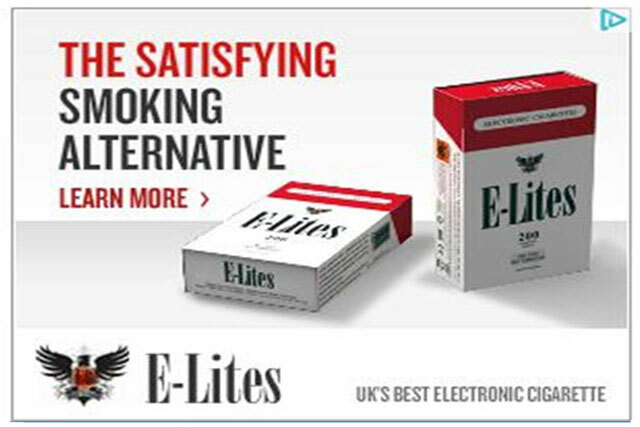 The other brands that were reprimanded by the ASA were Zandera’s E-Lites, which used a character called 'Dave', who misses the scene of a baby dancing to 'Gangnam Style' because he was outside having a cigarette (see below). Zandera was told by the ASA not to run the TV ad, and a radio ad in their current form and that the ads should make it clear whether or not E-Lites contain nicotine or not. Finally, a TV ad for Sky Cigs showed young adults taking part in day-to-day activities. The ASA ruled that that ad should be remade to clearly identify the type of product it was promoting and that it should make it clear that Sky Cigs contained nicotine.